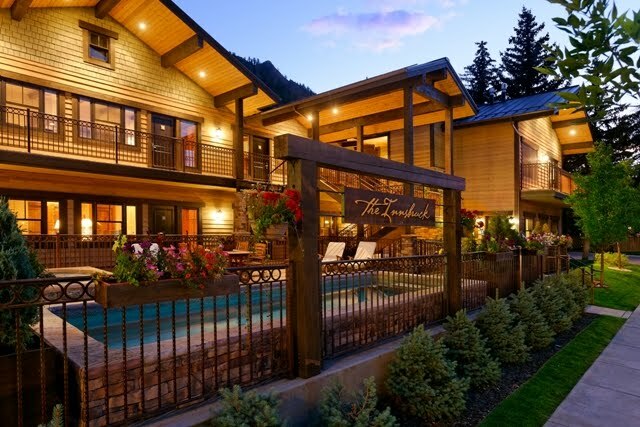 This blog strives to inform readers as to what the Innsbruck Aspen, the town of Aspen, and the entire Roaring Fork Valley has to offer. Today is another one of those amazing powder days, where Skico for some strange reason reports six inches of snowfall, while friends and guests lucky enough to ski, report totals in the knee to thigh-deep range. I assume Skico chooses to air on the side of caution so as avoid being accused of embellishing the snow totals. But who cares what the reason is for underreporting snow totals. Finding twice as much snow than what was reported is always a welcome treat! Another example of powder day serendipity is the fact that the mountains of Aspen are often mysteriously empty when the snow is falling hard. While almost everyone loves those famous blue-bird powder days, where snow falls all night and the clouds magically part in the morning to reveal blue skies, many people choose not to ski when Mother Nature pounds the mountains of Aspen with snow during the day. For some this is due to visibility issues, while others may not enjoy snow hitting their face all day. Some people might look up at the mountain and become down right intimidated by what they see. Yet reasons such as these shouldn’t discourage people from heading out on the mountain during a storm. Strategy and proper clothing are all that is necessary to make a day of storm skiing one to remember. Water proof clothing and face protection are a must. As far as visibility goes, skiing in the trees is your best bet. Winds are generally much less dramatic in the woods while the trees themselves help provide depth perception, which mitigates the effects of poor visibility. Not to mention the fact that wind often carries and deposits snow into the woods, affording those who seek a really special treat. For those who are not comfortable skiing in the trees, skiing near them can be equally as helpful as skiing in them. Except during especially savage storms, it is actually very peaceful up on the mountain during a snow storm. The fact of the matter is skiing while it’s dumping is the only time in which every run you take will be better than the last. The sheer joy of taking an amazing run, only to find that your tracks are filled in by the time you return, is something hard to describe. You will probably look around, chuckle to yourself and ask, “Where is everyone?” But who cares. While everyone else is sitting in the lodge waiting out the storm, you will be enjoying one of the best days you’ve ever had. Give it a try. What looks like a nasty day may well turn out to be an instance of powder day serendipity that you won't soon forget! It’s no secret that the month of February is an amazing time of year to hit the slopes. The temperatures are consistently warmer than December and January, there is a well established snowpack, and storms are usually frequent. Yet despite the pleasant conditions, even the most dedicated skier or boarder will need a day off from time to time. Fear not! Aspen has plenty of great activities that don’t involve buying a lift ticket (yes, even in the winter). There is of course always the option of perusing Aspen’s famous shopping scene, or eating at one of the many world class restaurants and cafés. But for those of you that still want to experience the great outdoors on your day off from the slopes, opportunities abound. Believe it or not, winter is a favorite time of year for dedicated anglers. Not only is the fishing still fantastic, but crowds are nearly non-existent. While the cold can be a challenge, the right equipment and proper guidance can make winter Fly Fishing a very pleasant experience. Much like Fly Fishing, people think of Aspen’s hiking trails as a strictly warm weather pursuit. What many don’t realize is that with a good pair of boots and stabilizers, or some snowshoes, most of Aspen’s most popular hiking trails lend themselves well to winter hiking. There is nothing quite like watching a winter sunrise over Aspen from your favorite hiking trail! Aspen has quickly become well known for the miles and miles of free Nordic skiing trails. From the impeccably maintained municipal golf course and Rio Grande trails, to the back-country, Aspen has something to offer for all levels of Nordic skiers. If your body truly needs a rest, yet you still want to get outside, Snowmobile tours with the T-Lazy 7 ranch are a great option. These tours will take you through the stunning Maroon Creek valley just outside of Aspen. Another popular activity is to take a guided snowshoe tour with the Aspen Center for Environmental Studies. These tours depart from the summit of Aspen Mountain every day at 10:00 and 1:00 pm. The two hour tour costs $57 for adults, $45 for youths (13-27) and $35 for children (7-12) and seniors (65+). This ticket price includes the gondola ride to the top and back, beautiful scenery, snowshoes, a knowledgeable guide, and basic snowshoe instruction. Not only are these tours an invigorating way to experience the outdoors, they are also very informative. Guides with The Aspen Center for Environmental Studies are trained educators equipped with a vast knowledge of local geographic history, wildlife, and human history. So as you can see, Aspen has a lot more to offer than lift-serviced skiing! - Complimentary airport and in-town transportation 24 hours a day. - 24 hour desk and concierge service. - Hot tub and heated resistance pool.